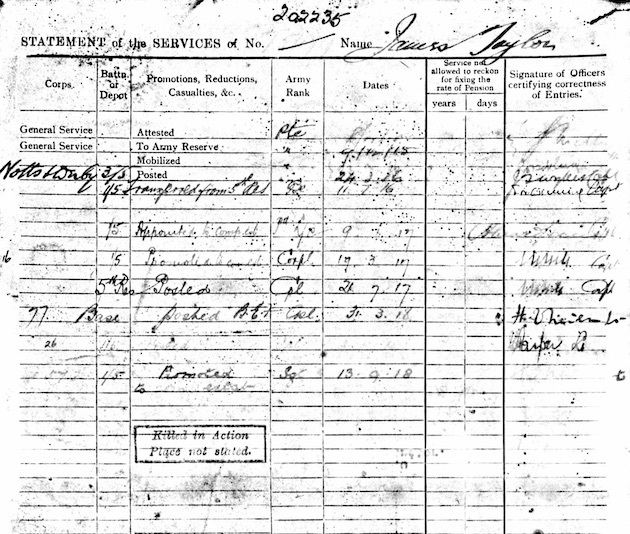 92392 Pte Alexander Alcock aged 23. Son of Benjamin and Elizabeth Alcock of Baldovan Gardens, Dundee. Previously served with RASC and transferred to Sherwood Foresters around July 1917. 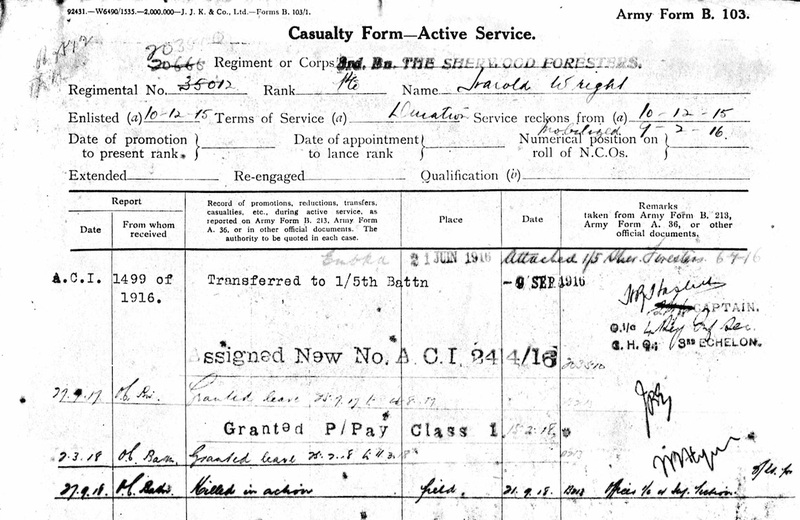 305663 Pte Tom Edney from Mansfield. 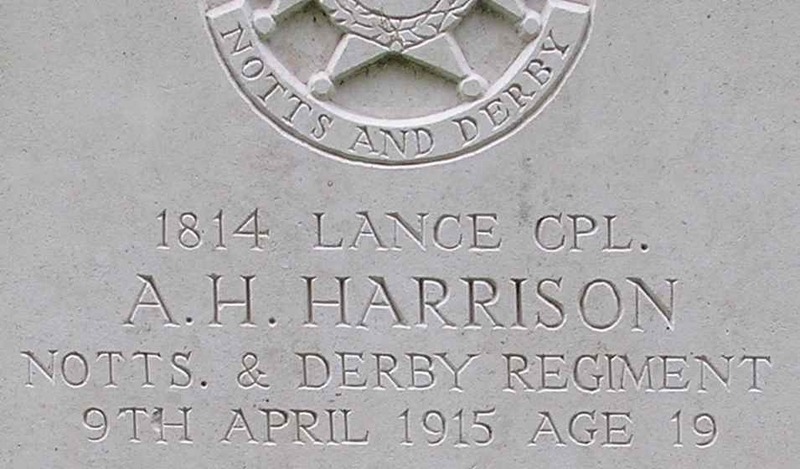 267342 L/Cpl Frederick Hage from Nottingham. 13287 Pte R Smith. Husband of A. M. C. Smith, of 13, Bedford Square, Loughborough, Leicestershire. 35017/203510 Pte Harold Wright aged 21. Son of Dan and Emma Wright, of 22, Clyde St., Wilfold Rd., Nottingham. 19787 Cpl Albert Cook from Chesterfield. 93638 Pte Norman Charnock Kaye from Yeadon in Yorkshire. 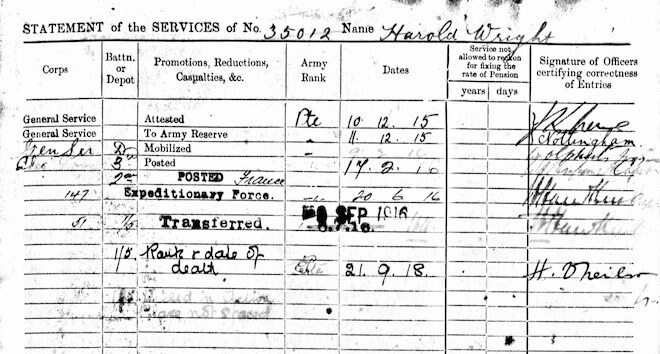 2089/200353 Pte William Herbert Reynolds from Long Eaton. 306975 Pte Joseph Richardson from Hull. 202235 Sergt James Taylor from Middlesex. 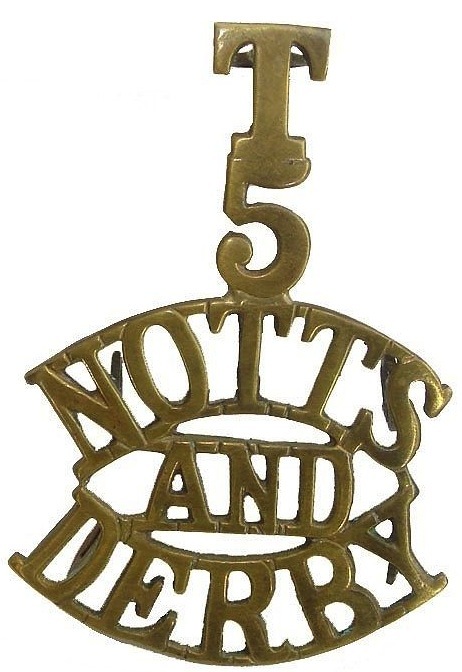 This entry was posted in Casualties, On this day and tagged 19787 Cpl Albert Cook, 202235 Sergt James Taylor, 2089/200353 Pte William Herbert Reynolds, 267342 L/Cpl Frederick Hage, 305663 Pte Tom Edney, 306975 Pte Joseph Richardson, 35017/203510 Pte Harold Wright, 92392 Pte Alexander Alcock, 93638 Pte Norman Charnock Kaye on September 30, 2017 by mikebriggs1910.